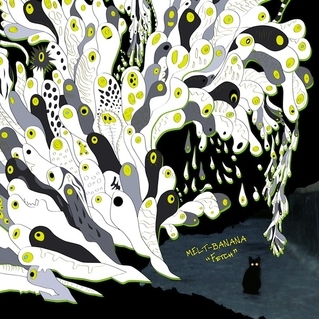 Melt-Banana’s Fetch curb-stomps your brain into alt-rock-noise euphoria. It’s been a long, long wait since Bambi’s Dilemma, and it’s given me time to scrape their past catalog into my brain with an arguably excessive amount of replay. So it’s both cool and disturbing to hear “new” Melt-Banana. Fetch hits with such force that it seems to muscle out their past work while adding another cohesive layer to the band’s legacy of digital-rock psychosis. There’s a precision in all this chaos, and even selective occasions of restraint. Opening track “Candy Gun” pulls back the tension just as the whirlwind ascends to its peak, then crashes down in a wall of sound. On “Red Data, Red Stage,” vocalist Yasuko Onuki plays cat-and-mouse with guitarist Ichirou Agata’s electrical machinations before diving in full force. We’re all used to Melt-Banana’s signature 1-2 minute song length, but we get something interesting in longer tracks “Candy Gun” and “Zero+” — mid-song change-ups that re-route the song entirely. It’s like two separate songs played chicken with each other and collided like monster trucks with a death wish into some unapologetic, beautiful musical wreck. “Infection Defective” is equally ear-shredding and delightful. Super-charged, mad-eyed guitar riffs and over-cranked drums on “Lie Lied Lies” and “The Hive” steal the show on Fetch — blast these on full volume. Closing track “Zero” leaves orbit entirely, and here’s hoping we don’t have to wait another 6 years to see where it lands.